We at EGF are pleased to bring the ancient skill of archery to our students and fans! 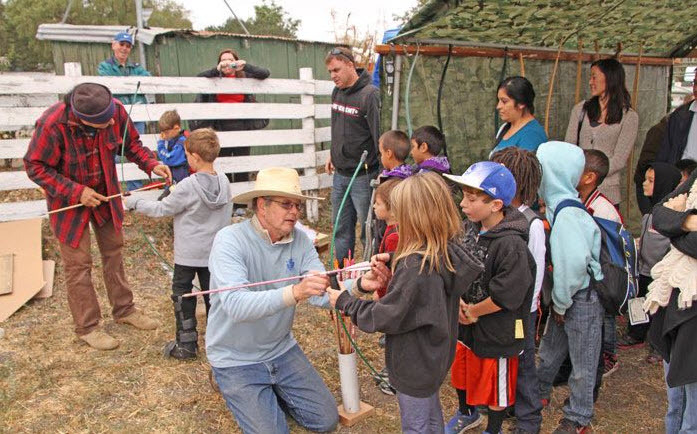 Taught by certified Level 2 Archery Instructor Mark Smith, and his wife Julie Hawley (Level 1 instructor), of Archery for All Ages, this class will focus on learning the basics of shooting with simple bows. The focus will be on development of skills and abilities over time with continuous practice. Students of all ages will train in a safe, fun environment, and kids will learn to develop important life skills in the context of games and light in-class competition. We offer classes on Thursdays for beginners, as well as an all levels family class on Saturdays. We hope you can join us! We divide the Thursday Beginner class into two 30 minute segments, one for 7-12 year olds and one for 13 and older. The Saturday class is a Family Class, meant for all ages (7+). You can sign up today by calling us or by coming to class. Cost: $20 drop-in, or sign up for a membership for as low as $25 per month!